I have a little confession to make. I love mugs. I have mugs in a multitude of colours, designs and sizes and they are really starting to take over my kitchen! Good job they get a lot of use these days! 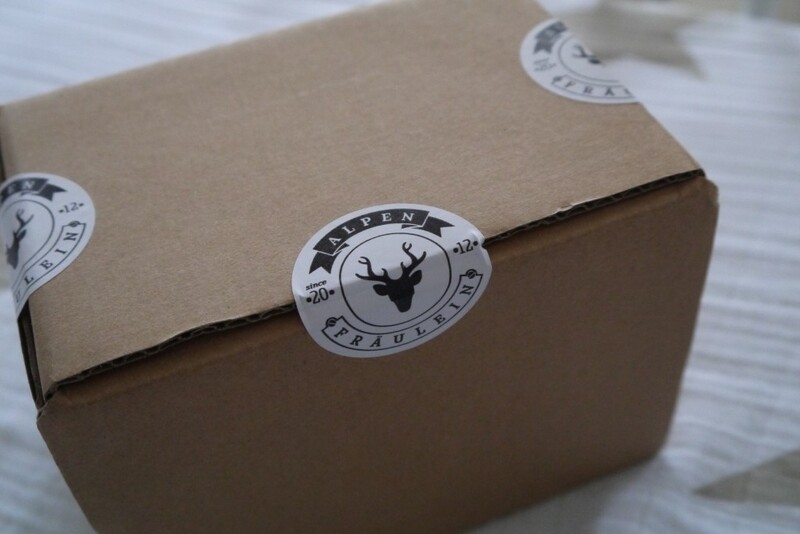 When I was recently contacted by Alpenfraulein, designers of four illustrations which have been cleverly placed on hand crafted bone china mugs, I obviously I couldn’t pass up the opportunity to receive another mug to add to my growing collection (although my kitchen cupboards were telling me otherwise)! The dog themed mugs were inspired by Nici’s (one half of the design team at Alphenfraulein) French Bulldog who is not only the agency’s mascot, but comes to “work” at the the agency almost every day! 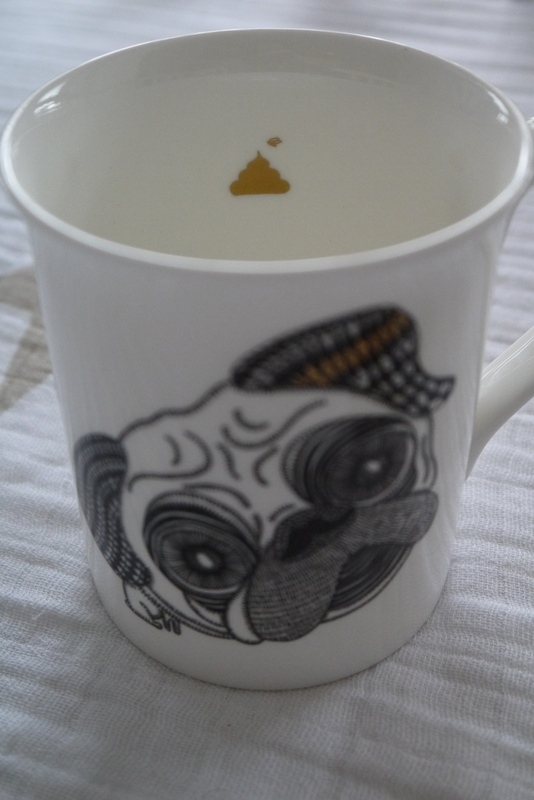 I chose the Pug Mug and I absolutely adore the illustration, in fact, I’d go as far as saying it’s my new favourite mug! I had to get a close up of that golden poop…! The illustrations are wonderfully unique and would make a perfect Christmas gift for dog lovers out there. 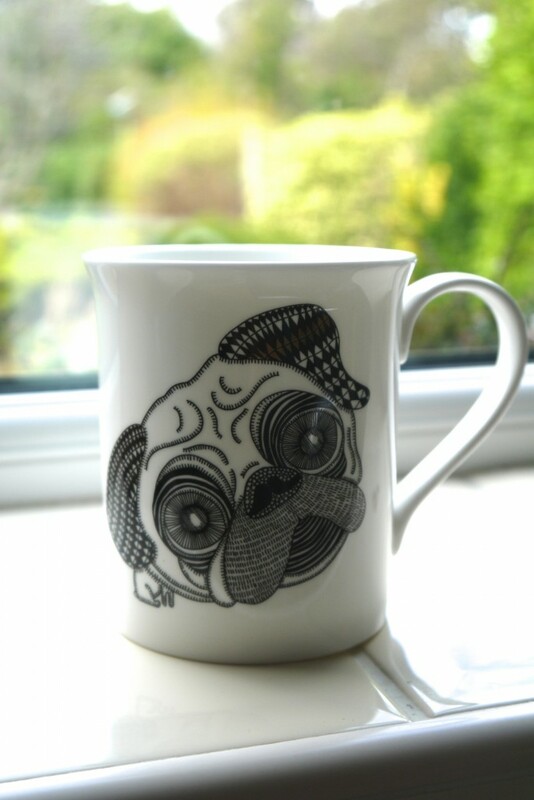 The Pug Mug (and his friends the Bulldog, Dachshund and Poodle) are available to purchase on the Alpenfraulein website. Now I’m off to make a cuppa!